Hyundai Motor India Limited (HMIL) will address a volume segment that has long been overdue in the coming months. 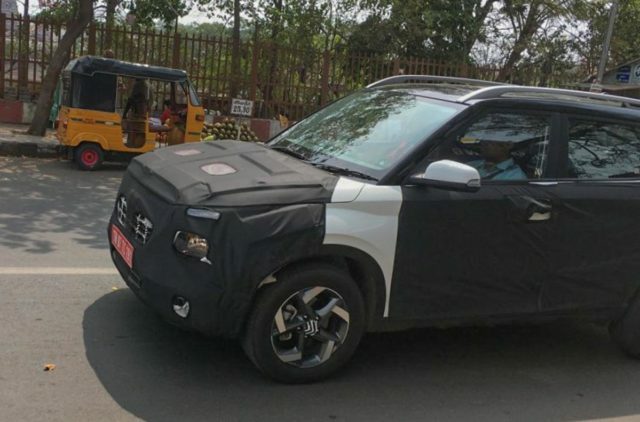 Ever since the Carlino concept came out three years ago, the brand was expected to launch a subcompact SUV to compete against Maruti Suzuki Vitara Brezza but it never happened. The South Korean auto major goes toe-to-toe with Maruti Suzuki in pretty much every segment but the biggest void has been left in the sub-four-metre SUV space that has boomed in recent years with top models like Maruti Suzuki Vitara Brezza, Tata Nexon, Ford EcoSport and the newly arrived Mahindra XUV300. The second largest carmaker in the country is finally getting the act together and will internationally debut what has been codenamed the QXi. 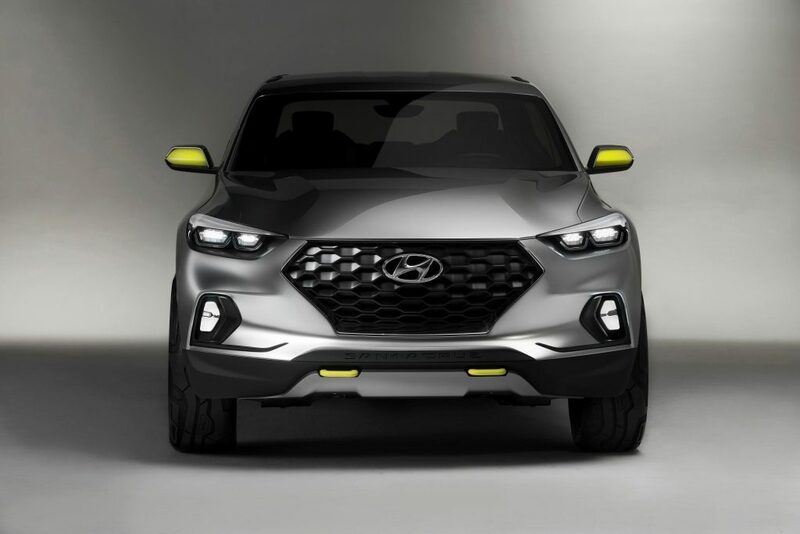 Expected to carry the production name Styx, the SUV has domestic as well as global importance for Hyundai and thus it will be premiered at the forthcoming New York Auto Show scheduled between April 19 and 29. Ahead of its world debut, it has been spotted testing undisguised once again and the test mule showcases what we already know. The Styx will have its front fascia dominated by the now-signature Cascading grille assembly while the sharp edges, eyebrow LED Daytime Running Lights and projector headlamps mounted below it add a definitive character. 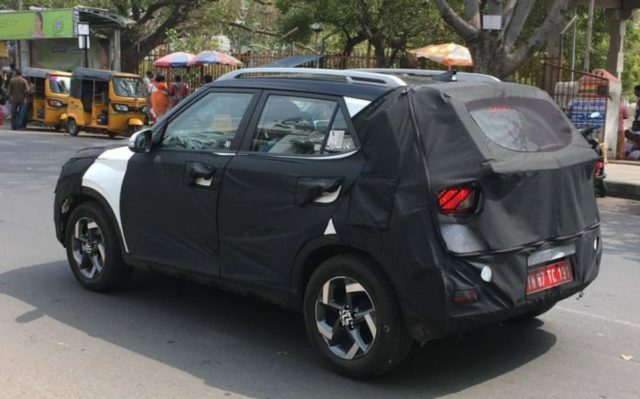 The heavily wrapped prototype has been painted in white colour and it appears to be the top-spec variant judging by the dual-tone 16- or 17-inch alloy wheels and turn signals integrated on the wing mirrors. The aluminium roof rails, blackened roof, visible shark fin antenna, tail lamps with LED graphics and a compact greenhouse emphasise its visual sportiness and it can even be called as rugged to a certain extent. We can expect Hyundai to offer quite a few segment-first features with the Styx like ventilated front seats while other main equipment likely on board are touchscreen infotainment system supporting Apple CarPlay and Android Auto connectivity, electric sunroof, cruise control, sat-nav, voice command, a range of standard safety and high-end driver assistance technologies and so on. It will likely be powered by a 1.0-litre turbo petrol and a 1.4-litre turbo diesel engine options with manual and AMT transmission choices in India.